New studies on alcohol and the brain show how heavy drinking causes irreversible damage to the parts of the brain that regulate impulse control and monitoring behavioral changes. The white matter pathways in the frontal lobes of the brain are responsible for modifying behaviors and controlling impulses, the very cognitive functions that an alcoholic would use to quit drinking. Scientists conducting the study used high resolution MR scans to observe the brains of alcoholics versus those who only drink occasionally. 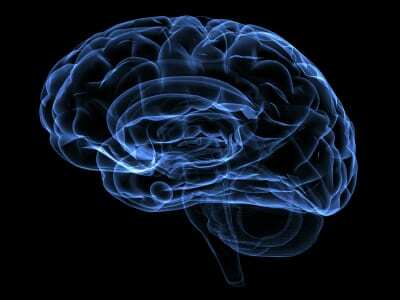 They found that the brains of those heavy drinkers showed damage to the white matter tracts across the entire brain. Scientists have known about the negative impact of alcohol on the brain for awhile, but were not clear on exactly what areas of the brain were affected. New technologies in brain imaging helped them get a better idea of how severe the damage is and how it affects other functions of a person’s health. Scientists were able to see these effects on a living person, which helped them get a better understanding of how alcohol affects psychological and intellectual functioning. In addition to the findings on white matter tracts, the study revealed that alcohol has an affect on all areas of the brain. Both the white and gray matter of the brain are affected, with white matter tracts showing the most damage from consistent alcohol consumption. These frontal tracts are the pathways responsible for connecting the frontal area with the rest of the brain. These pathways are necessary for supporting a person’s planning, judgement, and self monitoring capabilities. When these pathways are damaged, the basic ability to process new information, modify and judge one’s own behavior, and control impulses are severely affected. The more alcohol a person has consumed during their lifetime, the more damage to the frontal pathways there will be. The study has helped clear up some of the mystery behind why heavy drinkers and those who have been long term alcoholics have such a difficult time getting and staying sober. Neurological health and the ability to heal are damaged the longer one drinks, so if you or someone you know is suffering from alcoholism it’s important for them to get help as soon as possible. Younger drinkers, specifically those under the age of 50, may have the neurological ability to heal after drinking has stopped. Older alcoholics, on the other hand, may never regain their former neurological health but can still live a life of sobriety with the guidance of a good treatment program. Hopefully the new findings will do something to help improve alcohol treatment methods, especially for those who have been drinking heavily for a long period of time. This type of alcoholic is often the hardest to address, but it can still be treated successfully. With the help of rehab treatment, support from a 12 step group, addiction therapy, support from friends and loved ones, and a personal commitment to recovery, a person can stay sober for life. There are millions of alcoholics out there who have done it, despite all the obstacles. Keeping that fact in mind, as well as finding support and persevering through the challenges of recovery, will help a person beat the odds. Recovery can’t be done alone, so it’s important to admit you have a problem and ask for help from a trusted source. It’s the only way to free yourself from alcoholism.